Elfsight Pinterest Feed allows displaying your own profile, and any pins and boards from Pinterest on your website. With our tool, choose any boards and pins and create collections of images for your site. Demonstrate your portfolios, inspire your clients to discover new things or just visualize your website content. 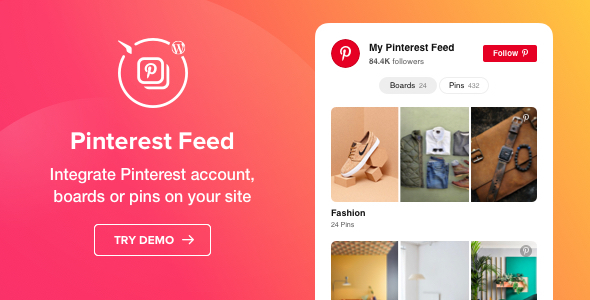 A customizable Pinterest feed will help you broaden reach of your content, increase website visitor engagement and bring more followers in Pinterest.